I love gymnastics and playing the flute. I first started having problems when I was 11, so about a year. I found out a few months ago. I thought I was going crazy but then when I saw a Buzzfeed article about misophonia and I got so happy because what I had was a real thing and I wasn’t going crazy. Breathing, any eating related noise, and sniffling. I can hear really high frequencies and I have an extremely strong sense of smell. Most of my friends and family know. My mom isn’t so understanding as she thinks the only treatment I need is to “Rewire my brain with breathing exercises” but she lets me eat separately from my family. At school I’m allowed to go into another room at lunch so I don’t have to be with my other class mates. My friends are understanding but they always do that thing where the come up to me and say “Does this noise bother you” and make some really annoying noise like chewing loudly. I try to explain to them that that is pretty much the equivalent of going up to someone with a broken arm, punching them in the arm, then asking them if it hurt. But they just don’t understand. I don’t think I have any funny misophonia moments. Headphones are a absolute life saver. Also leaving the room and go to the washroom and staying in there for five minutes. If there isn’t a full meal going on, they will most likely be done eating by the time you come back. I have amazing hearing. I remember one time I was at my grandparents house and my mom turned on their super old TV and once the sound came on the highest pitched noise came on. It was so loud and high pitched and my mom was so confused when I immediately covered my ears and begged her to turn it off. I was so confused that she, or anyone else in the house couldn’t hear the noise. Don’t be embarrassed about having misophonia, it’s nothing to be embarrassed about. To open a keyring, split it open with a staple remover. It’s painless and saves time. 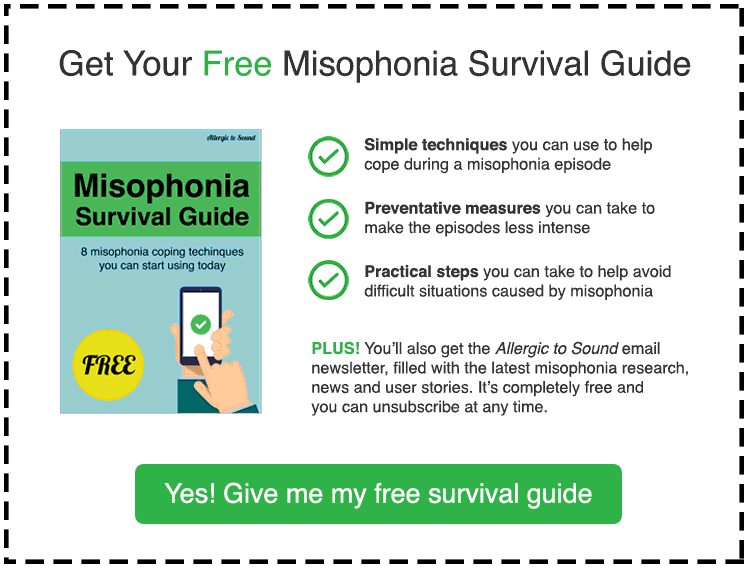 I might have some information about why we have misophonia. My mom’s cousin is a psychologist, she doesn’t know very much about misophonia, but she knows professionals who are researching misophonia. They think it might be a symptom of a different problem. I don’t mean to worry anyone because this is just their theory and it is not confirmed. Thank you so much for sharing your story! I am now 36 years old and have had misophonia and misokinesia since I was about 11 years old also. I can relate to when I was in school, as I could not stand the sight nor sound of everyone eating around me at school. So, I use to skip school a lot and never ate with the other kids. I, of course, still can’t eat around people and have to wear ear plugs all day long. It helps a some. I am happy that your mom seems to be sympathetic and allows you to eat by yourself. I never told anyone growing up and thought that everyone would laugh at me and just do more things on purpose knowing that it bothered me. It’s odd, but I still feel that people around me are doing it intentionally, though I don’t think they truly are, it’s just a feeling I get. Unfortunately it seems as though it only gets worse as I get older. New sounds and movements add on all the time, so I am looking forward to the research they are doing and pray they come up some forms of treatment. It’s a little comforting to know that we are not alone and that their are others who understand our suffering. 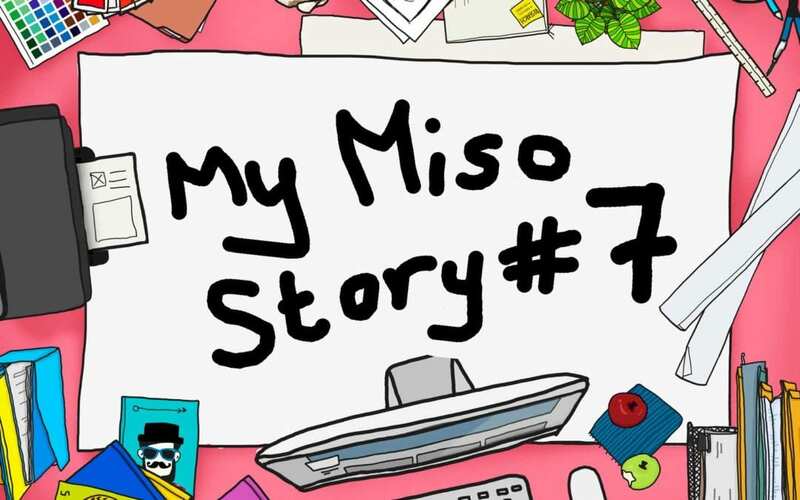 So, thank you again for sharing your story! I’m 32 and noticed when I was younger to do homework or anything had to be in complete silence! My misophonia has gotten worse and worse lately to the point last night my husband woke me up from a dead sleep because he was biting down And swallowing at the same time! It enrages me to be around people when they eat and I hate this it is causing issues w my family and my husband and I! They keep saying u need to get help for this! I really need some sort of advice or help!!! This is driving me insane! my only trigger is dog barks I always remember that it use to annoy me. then there was a dog that barked all day. I abused the family and in the end I couldn’t handle its bark even for a minute. they got rid of the dog but I think the seed was planted there. when I found another place there was another dog that barked all night I left that place because of it. I ended up with depression not from barking but in the last 6 yrs I think the fear of hearing dog barks is making me anxious and when they do bark, first it makes me angry then sad.another time a dog would jump up on the gate of his owners and hang on and bark a high intense bark I was going through depression and it all got to me and I had my first panic attack.I though I was going loopy.so in my opinion that dog was the root of all my problems no other dog botherd me when my little dog bark didn’t bother me a bit.or when I’m out somewhere and dogs bark it’s tolerable it just when it’s in the vicinity of where I’m living so I’m wondering if there are people like me out there I’m sure there is.